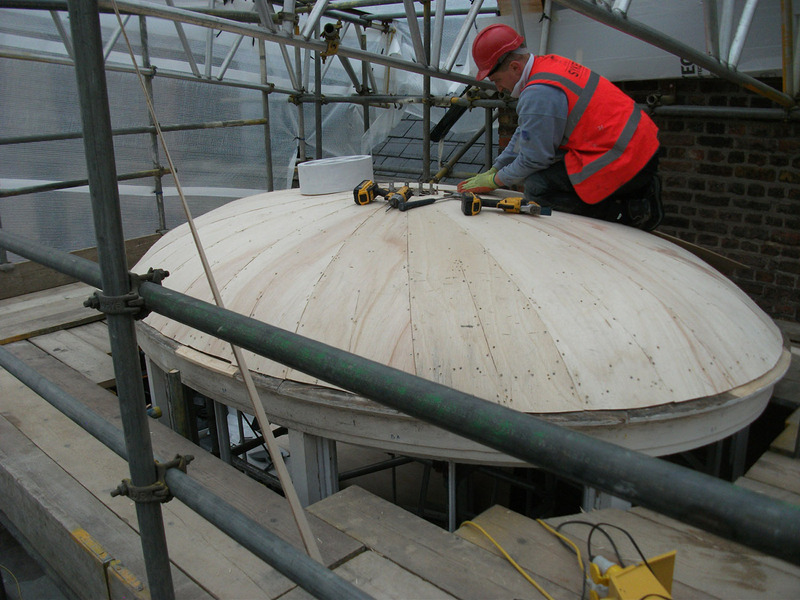 In April 2016, Sykes completed a project at Kensington Palace for Historic Royal Palaces to carry out conservation works to roof lanterns to the value of £350k. Sykes undertook the sensitive conservation of three 19th Century elliptical roof lanterns, which form part of the original John Nash design, commissioned for George IV. Little was known about the lanterns and their construction prior to our commencement, so early investigations were undertaken to determine how the structures integrate with the surrounding historic fabric. Following these investigations, it was apparent that the lanterns had fallen into a poor state of repair, with rot and leaks affecting both their integrity and the condition of the internal fabric. Subsequent poor lead detailing, inappropriate repairs and modifications all contributed to the onset of residual issues and latent defects. The works involved the methodically planned de-construction of each lantern (retaining and re-using timber and glazing wherever possible in line with Historic England guidelines) in order to lift the structures to a height of approx. 250mm off the existing roof deck level. The aim of lifting the lanterns to this height is to facilitate the installation of new code 8 lead detailing, which conforms to current Lead Sheet Association guidelines and seeks to offer longevity to these unique and historic structures. 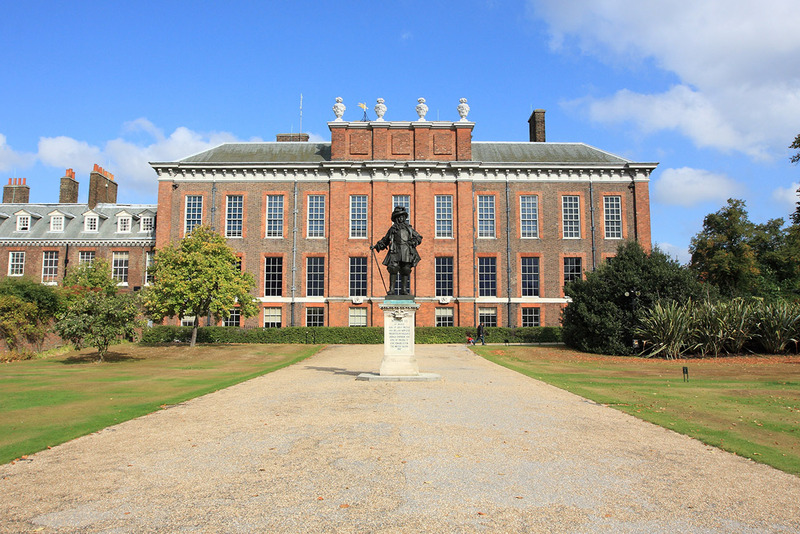 Kensington Palace is divided into two distinct areas occupied by the self-funding organisation (Historic Royal Palaces) and the private Royal Household. The area occupied by HRP consists of the State Apartments and other historic apartments. The project and site offered a number of logistical challenges and restrictions in our programme, approach and methodology. 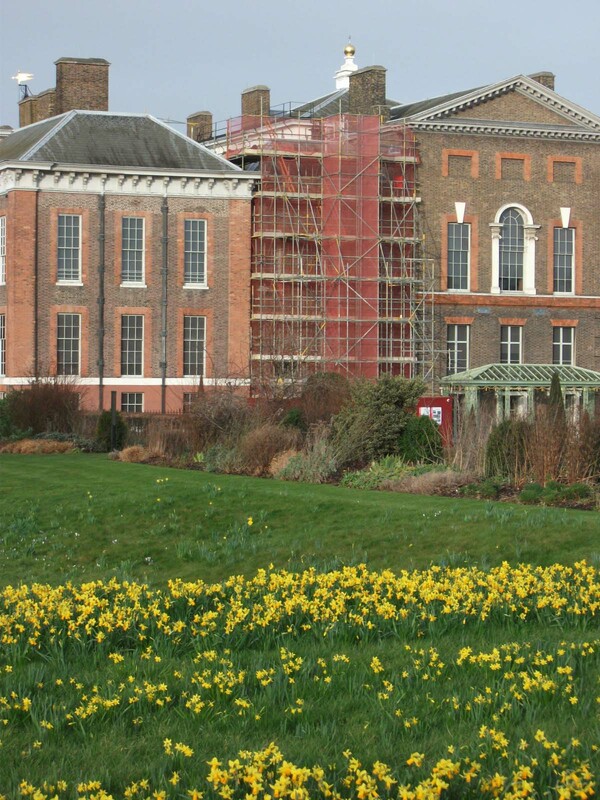 Having worked within the Royal Palaces for decades, our teams respect the nature of the sites and how best to carry out their works in a sensitive and considered manner to operations. 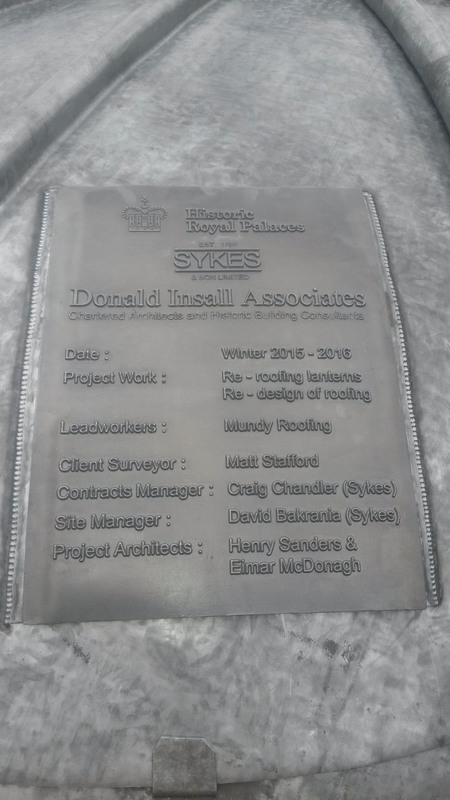 Following the project’s completion, a commemorative lead plaque was placed on top of Lantern A with details of the project team.